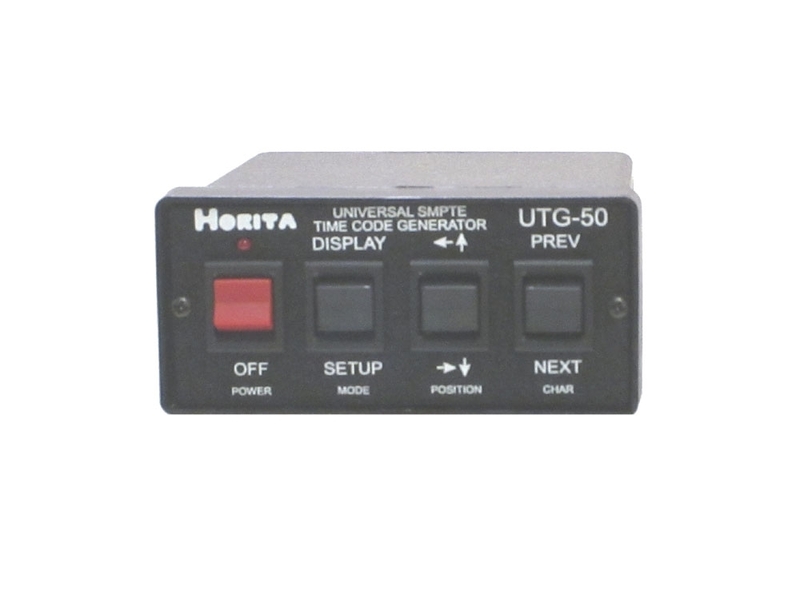 The UTG-50 is a multi-frame-rate SMPTE time code generator with an internal GPS receiver. The UTG-50 is truly universal and can generate at frame rates of 23.976, 24, 25, 29.97 drop/non-drop frame, or 30 FPS (Frames-Per-Second). 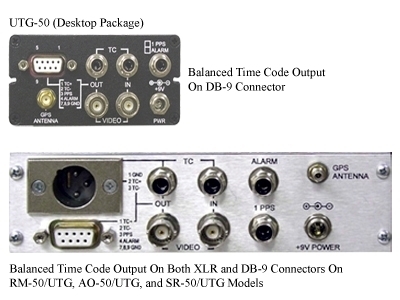 The UTG-50 is designed to provide SMPTE time code that represents accurate “real time” time and date. The SMPTE time code time value can be preset and locked to GPS data via an internal GPS receiver, to an internal real-time clock/calendar chip, or to an external time code input. Date information can be embedded into the user bits of the time code in either HORITA or Leitch formats. The UTG-50 time and date can be set to Greenwich (GMT) or offset to any local time and date. Automatic daylight-savings-time (DST) correction of the time and date is provided and the user can easily setup if and when DST correction is to occur. 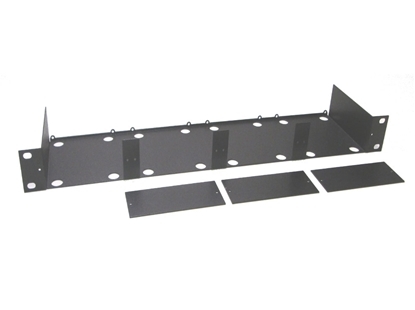 UTG-50 "on screen" setup menus allow quick, simple, and easy selection of the various time, date, and display parameters that control its operation. The menus are displayed on a video overlay onto a standard NTSC or PAL composite video signal, which may also be used as a genlock source. in addition, the time and date may also be overlayed onto this video source along with up to nine lines of 20 characters each of text for source ID or other information. The UTG-50 can generate time code at 23.976 FPS, 24 FPS, 25 FPS, 29.97 FPS DF (Drop Frame), 29.97 FPS NDF (non-drop frame), and 30 FPS (non-drop frame), with a freerun accuracy of +/- 1 frame-per-hour. The UTG-50 can manually or automatically "jam" (preset) to an externally applied SMPTE time code time and date, to the GPS time and date, or an internal RTC time and date. An automatic jam of the UTG-50 can be set to take place if the time difference between the UTG-50 time code generator and the selected UTG-50 time source exceeds a user settable value of from zero seconds and frames to over 59 seconds and 29 frames. The UTG-50 can be set to "freerun" or to "genlock" (phase lock) the generated time code to either the incoming video, the TCR time code input, the GPS signal, or the RTC. RTC chip can be set to GPS time and date to use as an automatic backup should GPS reception be lost. 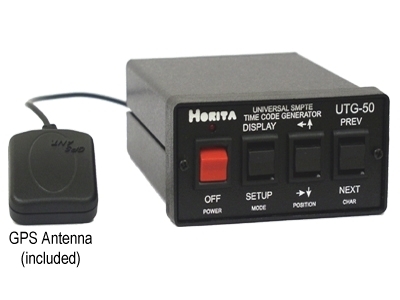 An “alarm” signal is output if the UTG-50 fails to operate correctly. User selectable manual and automatic setup modes simplify setting up the UTG-50 for use in typical situations and for special applications of SMPTE time code. 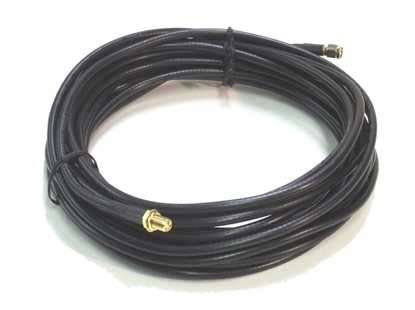 Need a longer antenna cable?